Kuwait has publicly expressed support for Iran’s right to maintain a peaceful nuclear program. 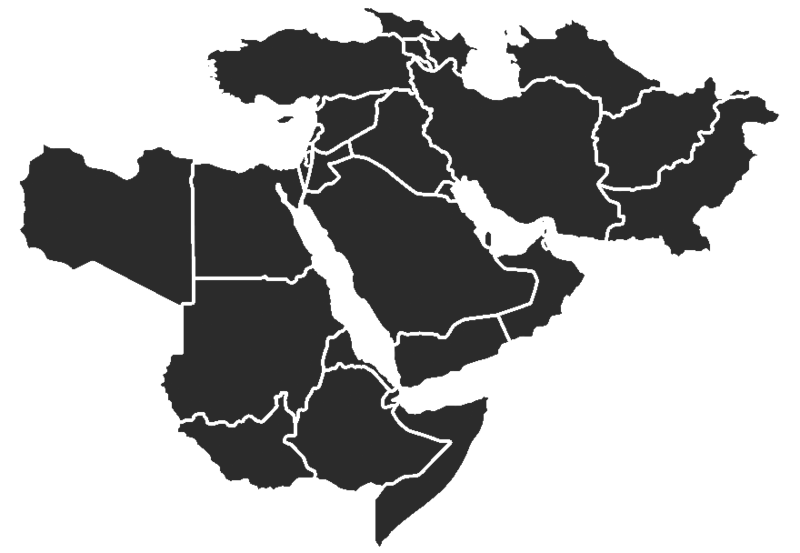 The Gulf Emirate has also publicly opposed any U.S. military strike against Iran, calling instead for a peaceful resolution to the diplomatic dispute over Iran’s nuclear ambitions. Kuwait has so far agreed to comply by all sanctions levied against Iran by the United States and the United Nations Security Council. Iran and Kuwait share, and have sometimes quarreled over, the Arash/Durra oil field. In 2006, the two Gulf states agreed to jointly develop the Arash/Durra field and subsequently met to discuss cooperation in the oil and natural gas sectors. In 2011, Iran and Kuwait signed an agreement to consolidate their industrial and customs relations and both countries have expressed a willingness to expand economic ties. August 24, 2010: The Kuwaiti foreign ministry expressed concerns over potential leaks from Iran’s Bushehr nuclear facility. Foreign ministry undersecretary Khaled al Jarallah said that “Kuwait's concern is based on fears of any leaks due to natural causes that may have future consequences.” Iran’s foreign ministry tried to assuage Kuwaiti fears by praising the plant’s safety standards: “Due to the high standards with regards to safeguards in the Bushehr nuclear power plant, there should be no concern about it…. The International Atomic Energy Agency has approved the safeguards in the Bushehr plant." June 4, 2007: Kuwaiti National Security Agency Chief Sheikh Ahmad Fahd al-Sabah stated that Kuwait was “against any military strike against Iran” and expressed hope that the dispute could be solved through dialogue. February 2, 2011: Iranian and Kuwaiti officials signed an agreement to consolidate customs and industrial relations. In the same meeting, Iranian Minister of Commerce Mehdi Qazanfari stressed the country’s willingness to establish a joint trade council with Kuwait, increase trade, and expand relations. January 26, 2010: The head of Iran’s Gas Transportation Company Reza Almasi claimed that Kuwait has expressed interest in connecting its gas network to Iran’s cross-country gas network. Almasi noted that Iran’s network already expands into Iran’s southern port city of Khorramshahr and that it was possible for it to extend to Kuwait. He also revealed that the plan to link the two countries’ gas networks includes building a submarine pipeline to Kuwait’s border. November 22, 2009: Iranian Oil Minister Masoud Mir Kazemi and Kuwaiti Oil Minister Sheikh Ahmad al Abdullah al Sabah met in Tehran to discuss Iranian gas exports to Kuwait. January 16, 2008: Iran and Kuwait held their first Economic Commission, a meeting which served to create a political platform for more financial connections between the countries. The two agreed to increase their cooperation and signed agreements stating they will develop greater economic ties in the future. June 27, 2011: Kuwait, Saudi Arabia, and the United Arab Emirates signed a contract with the defense corporation Raytheon to upgrade their air defense systems in order to counter the growing Iranian threat. Kuwait announced it intends to spend $900 million on upgrading its five batteries of U.S.-supplied Patriot PAC-2 missile systems. May 18, 2011: Iranian foreign minister Ali Akbar Salehi met with his counterpart in Kuwait and announced: “It was decided that the ambassadors of the two countries will return to their posts as soon as possible.” On May 23, 2011, the new Iranian Ambassador to Kuwait, Rouhollah Qahremani Chabok arrived in Kuwait. Iran had not had an ambassador in Kuwait for over a year. April 10, 2011: Iran expelled three Kuwaiti diplomats in response to the Kuwait’s March 2011 decision to throw out three Iranian diplomats accused of spying inside Kuwait. March 29, 2011: A criminal court in Kuwait sentenced two Iranians and a Kuwaiti national to death for providing intelligence to Iran’s Islamic Revolutionary Guards Corps (IRGC). A Syrian national and a “stateless Arab” were given life sentences for the same offense. At time of arrest, the three sentenced to death and the Syrian were serving in Kuwait’s army, and the stateless Arab was a former member of Kuwait’s military. January 28, 2010: During a meeting in Kuwait City with the head of Kuwaiti Parliament Foreign Policy Committee, Marzouq al Ghanim, the chairman of the Iranian parliament’s National Security and Foreign Policy Committee said that Iran is prepared to enter into bilateral and multilateral security agreements with its Arab neighbors. November 4, 2009: Iranian Foreign Minister Manouchehr Mottaki visited Kuwaiti Emir Sheikh Sabah al Ahmad al Jabir al Sabah in Kuwait City to discuss bilateral issues of mutual interest. For more information see Margaret G. Wachenfeld’s “Reflagging Kuwaiti Tankers: A U.S. Response in the Persian Gulf” in Duke Law Journal, Vol. 1988, NO. 1.